Egypt's finance ministry has said that Egyptians will have to use a new electronic payment system to pay for all government services and all state fees, including taxes and customs duties, starting next month. The move is part of the country's economic reform programme and part of a broader strategy to promote e-payment systems and reduce reliance on cash, the ministry said in a statement on Tuesday. Some 7,000 point-of-sale (POS) terminals have already been installed at government institutions, including real estate and registration offices, traffic departments and universities, the ministry said. 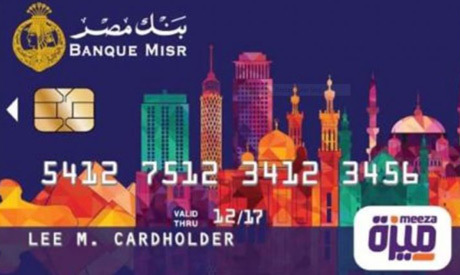 This comes amid a campaign to issue millions of national e-payment cards, called Meeza, in cooperation with Egypt Post. The central bank plans to issue 20 million of the cards until 2021 as part of a financial inclusion drive in a country where a large number of the population does not have a bank account. Other debit and pre-paid cards accepted across the national ATM network can be used to pay for government services. Egypt introduced prepaid payroll cards for all state employees and pensioners in 2010 and has since shifted away from a cash-based payroll system.